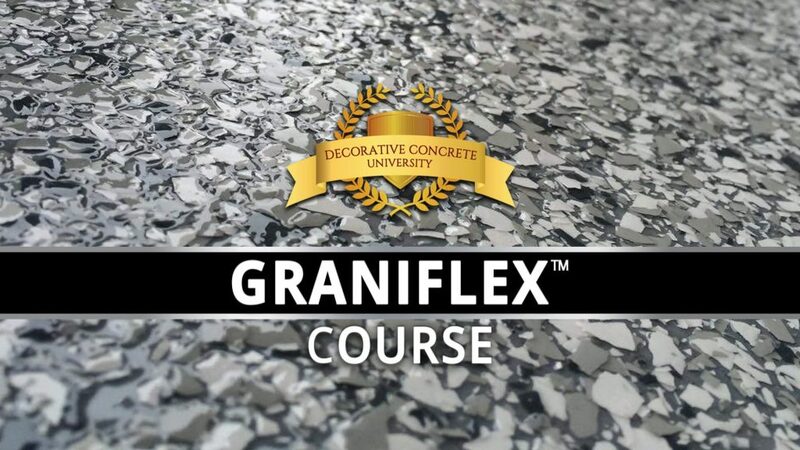 The Graniflex Flakes/Quartz Broadcast System is a decorative, high-strength concrete resurfacing system. It is used for environments requiring an attractive, high performance floor or when a concrete floor needs the protection of a moisture controlling system. This fast-setting “bond-like-crazy” flexible membrane is quickly becoming one of the most sought-after coatings on the market today. Perfect for pool decks, driveways, sidewalks, patios, porches, garage floors, basement floors, kitchen areas, restrooms, living areas and more. Useful for both exterior and interior projects! 1000’s of PERMANENT colorful chip combinations. The look of Granite or Quartz flooring on any surface!